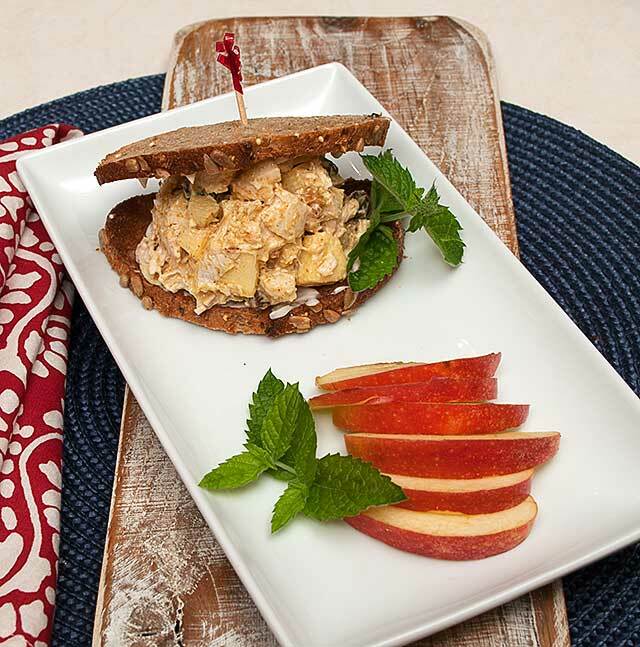 As much as I love to cook, there are times when a simple sandwich is a real treat. This was the situation last week. 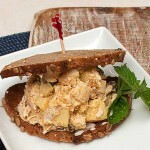 I had some left over baked chicken; and after checking the pantry, I decided to make a curried chicken salad sandwich. It was so good that I made it again the next day; and I thought it would be a good recipe to share. 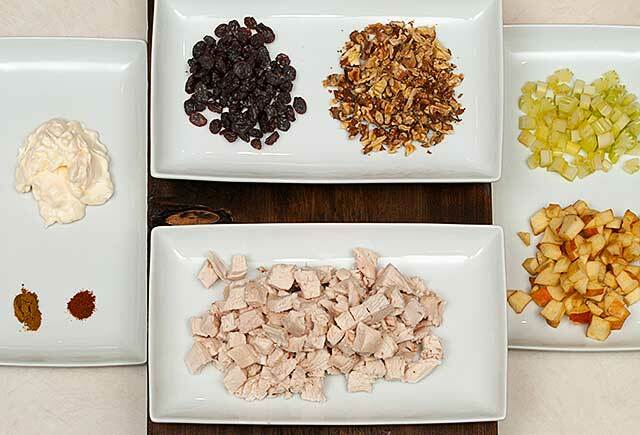 In a medium sized bowl, add all the ingredients and mix to combine. Toast two slices of multi-grain bread. 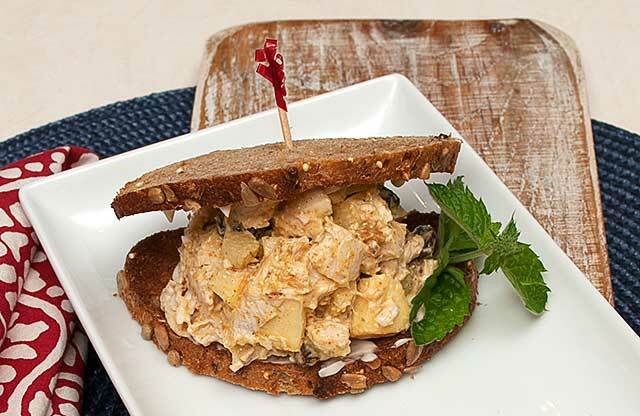 Place a scoop of the salad on one slice of bread and top with the second. Here’s to enjoying the simple things.